Winter’s low temperatures take a toll on just about everybody with an emphasis on “body.” It is winter rash season. Redness, swelling, itching are just some of the symptoms. Dermatologist Dr. Maud Kandula shows how to wipe the rash away and moisturizer plays a big part. Have you ever wondered how your favorite beauty products came to be? Who would’ve thought a little vaseline, burned cork and coal dust would become the inspiration for an iconic beauty product, but it’s true. Dermatologist Dr. Madhavi Kandula has the stories behind the world’s stars in the beauty department. A new study offers a city-by-city preview of what you can expect when looking in the mirror several decades down the road and says what you do now can affect your skin health in the future. Dermatologist Madhavi Kandula visits Fox 2 News in the Morning to explain the “wrinkle rankings” and where St. Louis appears on the list. Pregnant women should not only see an OB-BYN, but they should also be seeing a dermatologist. A new Cleveland Clinic study has shown there are links between Melanoma to pregnant women. Dermatologist Dr. Madhavi Kandula visited the Fox 2 studio this morning with helpful tips and advice for pregnant women who may have Melanoma. Women diagnosed with melanoma during pregnancy were 5 times more likely to die. Melanoma in pregnant women is much more aggressive. The immune system changes and hormone changes account for the increase in severity. Pregnant women should have complete skin checks prior to getting pregnant and then after delivery. It is winter time again, and for many people that means dealing with dry and cracked skin. Many insurance companies are not covering dermatological products, and with copay prices being so high, finding relief can be an expensive task. 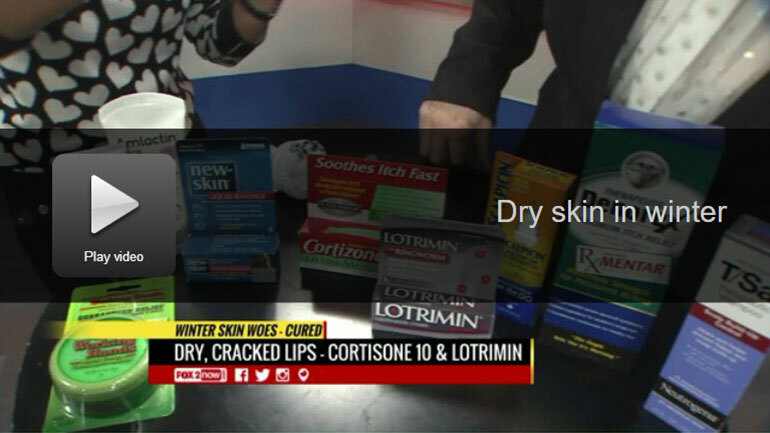 Dermatologist Dr. Madhavi Kandula brought several different products to the Fox 2 studio this morning with several over-the-counter remedies that will not break the bank. 1) Dry, flaky scalp: Wash with medicated shampoo such as Denorex or Neutrogena T/sal and add Scalpicin Extra Strength daily to treat. 2) Dry, cracked lips and split corners of the the mouth: This is a condition known as Perleche. caused by the acids in saliva that break down the skin and then yeast grows in the corners. use a combination of cortisone 10 and Lotrimin to treat. 3) Dry cracked/split fingers: use liquid bandaid, follow with cortisone 10 and then follow with Aquaphor or Vaseline and put gloves or socks on hands. O’keeffes also has great reviews. 4) Dry, cracked feet: Use a combination of Amlactin ultra and Aquaphor and put socks on. 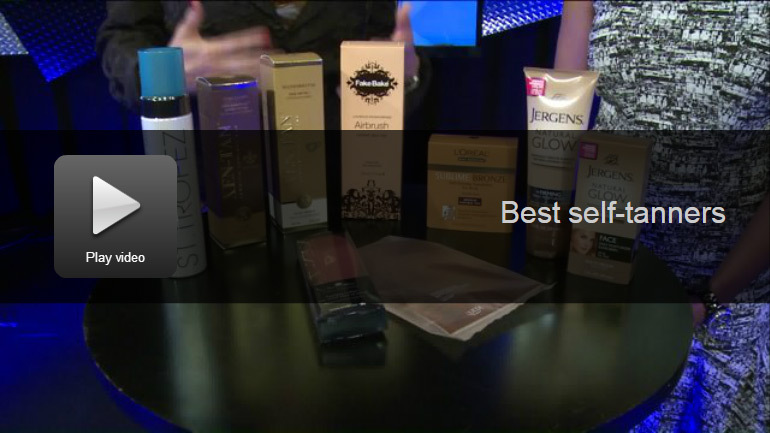 What are the best self-tanners on the market? We know that getting too much sun and tanning beds are harmful to your health. You can get that summertime glow with self-tanners; they’ve come a long way. Dermatologist Dr. Madhavi Kandula has put together some of her favorites for you to look good this summer, the safe way. Dr. Kandula offers these tips on self-tanning. 1) Exfoliate before applying self tanner. This prevents uneven or splotchy color. 2) Apply body lotion to particularly dry areas such as the knees, elbows and heels as this prevents the tanner from over saturating these areas and causing a tell tale darker color. Also use a towel to blot after applying to these areas to minimize over-darkening. 3) Use gloves to keep your palms from getting discolored. A back wand/applicator or spray self tanners work for hard to reach areas. 4) Apply self tanners at night so they have a chance to develop before showering(water keeps the tanner from working) and also less of a chance on getting on clothes, etc. an hour before bedtime will allow enough time to dry. 5) Exfoliate after three days to keep an even glow and color. 6) You still need sunscreen. We often time see commercials for new products that say they’re better than competitors, but unless you get an expert’s thumbs up, sometimes we may be skeptical. 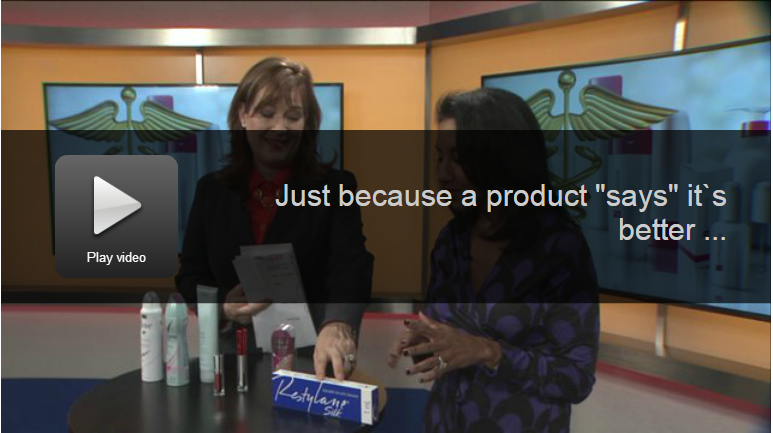 Dermatologist Madhavi Kandula visits Fox 2 News in the Morning to talk about some of her favorite new skin-care products.